Many investors are taking the opportunity to build a granny flat seriously. And with rental yields from 10-30% why wouldn’t you? 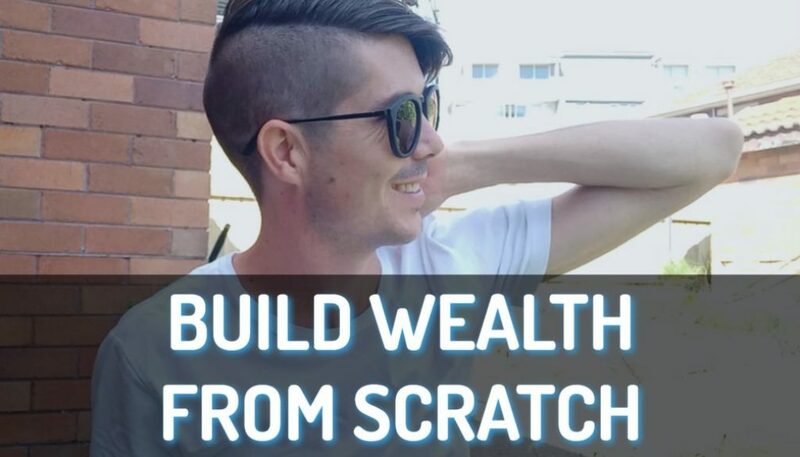 Today I talk to Wally Gebrael from Granny Flat Solutions, who builds 80-100 granny flats per year, and we go through the step-by-step process you need to follow if you want to build a granny flat in your backyard or on your investment property. Wally and his company builds 80-100 granny flats per year. He has project managers on every single build that he does and he knows a lot about building granny flats. But not just building them, he also knows a lot about the design process, the approval criteria and getting the build done on time and on budget. That’s why I wanted to sit down with him and go step by step through exactly how to do it. 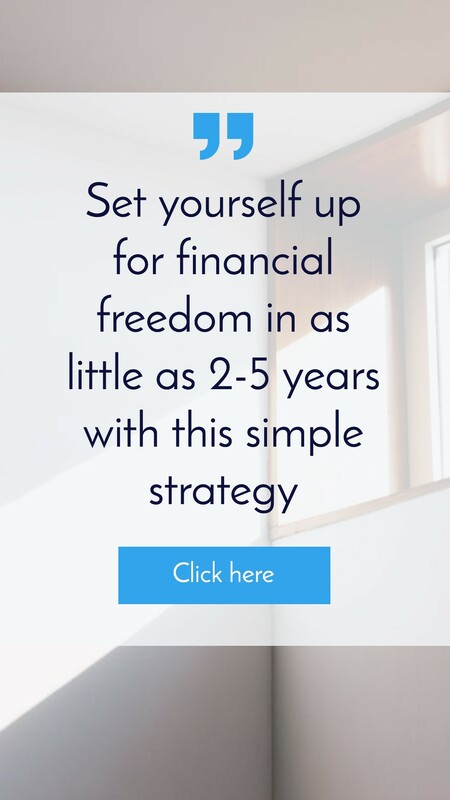 So you can go home and say ‘ok, that’s so easy – I could do that this afternoon and I could get that done to increase the rental yield of my property’. Wally: An owner casually gives a company ours “Granny Flat Solutions” a call first so we can talk to them, find out exactly what it is they want – what’s their intention, what’s their budget and so on. Everything we do is customized so we want to understand what the client needs first. So the first step is give us a call. We normally ask for a few documents from them, these are things like a sewage diagram, 149 plans from the council and so on. That allows us to do our due diligence before we go out there just to make sure there are no restriction or anything that can prevent your building. The next step is that we go out there, assess the site and come back with some options in terms of what can or can’t be built, pricing options and so on. Minimum requirements are 450 square meters for the property land size. But if you have a 450 metre squared block it doesn’t necessarily guarantee you can fit a granny flat, so it is important to have a look at the site first. But apart from the 450, you need to make sure have a 12 meter frontage, which is the width of the block. You need to assess whether there are any large trees in the backyard. Generally a tree that’s greater than 6 metres tall, we need to make sure we keep a certain distance away from it, about 3 metres. So we’ve got to look at trees, we got to look at whether the site is affected by any bush fire, flooding, heritage, acid sulphite soils – there are all of these potential hazards that need to be assessed because again that could prevent you or maybe add a lot more cost to the development that somebody wasn’t expecting. At What Stage Are We Looking For Hazards? We would only ask you for that initially because that allows us to do what we are to do to make sure if we are dealing with that, then we want to give our clients the best possible advice. We normally suggest they go to their local council and can get a 149 application which costs $53 in most councils. And that report actually outlines each one of ours possible criteria and it says whether or not the block is affected by it or not. 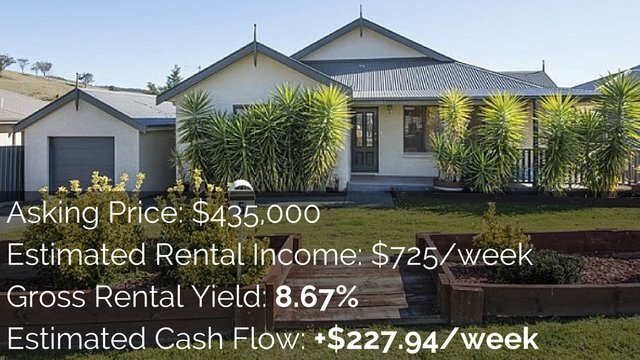 That to me is the first investment a client should make, that $53 report to council, and that way they would know before they spend another dollar whether or not the property is going to be possible to build a granny flat or not. Most councils now have an online application where you can just download an application form, fill it out. Some, you can just fill them out online and press send and it goes through, others you have to download the form and email or fax it. Normally one page form, all they’re asking for is your details, the property details and that’s pretty much it. It’s pretty straight forward. We go out there, have look. Just look at all those other restrictions – where the sewer line runs, whether there are any trees, whether there are any access issues and so on. From there we’d give you some advice on where we think the building would sit nicely. The site inspection is a free service provided by Granny Flat Solutions. Not all builders will provide this service for free. We’d then come back, put together a proposal for the clients based on what they’ve asked us to provide. It’s apretty detailed and lengthy quote. 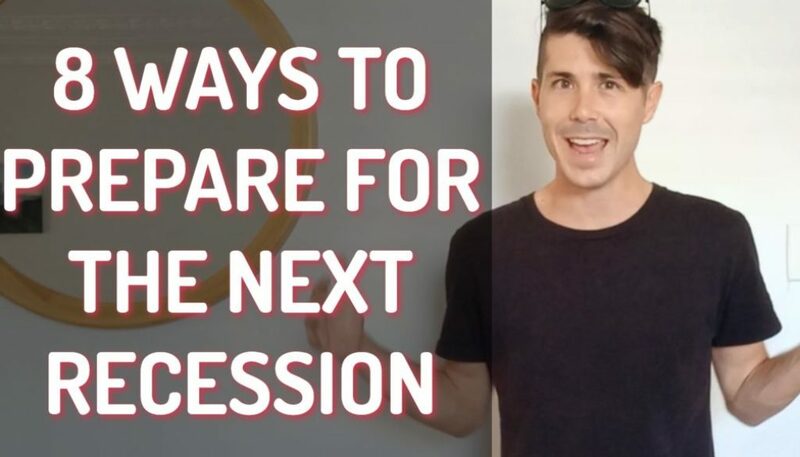 When you’re building a house or a granny flat you’re not spending $10, you’re spending a bit of money so you want to make sure what you’re getting is what you want so. Our quotes are quite detailed, there will be no mistakes in what you’re getting. 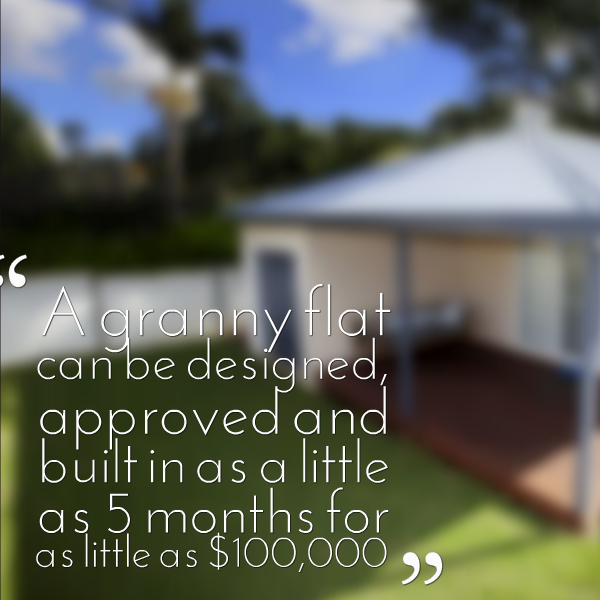 A quote is almost always provided for free by your granny flat company or local builder. If you’ve seen the quote and happy to go ahead we then start what we call the design process where we send out surveyors to the property and the surveyor comes back to us with all the property details, boundaries levels, neighbouring properties, easements, all those things which are important for a design. We then get the clients to fill out a quick check list and terms what it is exactly they want will they come up with some concepts, sit with a client, make sure they are happy with it. Because it is custom design, we’re putting in our thoughts plus their thoughts and try to come up with something that they are happy. It really is unlimited because we like to set ourselves a part so that you don’t have to pick a standard a design. Let us look at your property, let us design something that we think is going to suit you. We are basically starting on a blank canvas on every project, you can tell us whether you want brick whether you want cladding, whether you want tiled roof, or colourbond, or carpet or tiles and really it is endless. All you are limited is with clients budget, it is just the space. Where we can’t go any larger than 60 square meters so let’s be clever with our designs as well in terms of putting materials and trying to get maximum exposure in terms of northern sun and things like that. 60 m2 sounds small and when you compare it to a normal house it probably is small. But you will actually be quite surprised at how much you can fit into the space. At 60 m2 you’ll feet two decent sized bedrooms with wardrobes, kitchen, dining, living space, bathroom, laundry. It’s a fully self-compatible home. It’s all about being smart with your design and not taking space where you don’t need space and taking advantage of open plan living. What we are doing in that design process is we are trying to stick to the brief that they’ve given us initially. So what ends up being designed and what was discussed in the beginning are not two completely different buildings. So for example if we quoted you on a clad building and then you to decide you want to get brick, then obviously that is going to affect your price. When the designs is complete the client look back at that price just to make sure that we are still on budget. Your $100,000 budged doesn’t all of a sudden come 150,000. Once you are happy with that the price and offer we then go to the approval stage whereby we are now consulting all the engineers, Prada certifiers, all the relevant consultants, authorities and so on just to get through the whole process and get everything approved. The home owner doesn’t need to do anything in terms of getting approval. We do actually everything. It’s all done in house, so we’ve obviously got contact to engineers and so on. We organize all of that, get all the paperwork done and lodged and then basically come back to you at the end of the day with the whole paperwork all signed and approved and ready to go. Generally from the time a client accept the proposal and we start the designing till the point where we hand over the approvals before we start building. That process is about six to eight weeks. They used to be the a 10 day approval process in New South Wales as of the 22nd February 2014 that was scrapped. So it’s still a quick process still the same process bit it’s no longer than a quick ten-day approval. When the application is lodged, neighbours have to be notified for 14 days and even after that certify approves after 14 days, then we’ve got to give them another seven days’ notice before we can start building. That 10-day approval process no longer exists. It is more like, it is more like 3 – 4 week process for approval and then the design process itself is usually two to four weeks as well. So depending on how many changes and so people want to make it could be done as quick as about six weeks from the time they accept the proposal till the time everything is stamped and ready to start building. Once everything has been approved we are then ready to start construction on the property. We’re not building something in a in a factory and shipping it at site so it is going to be full on development site for ten to twelve weeks. What we do is obviously to try to minimise disturbance is to fence off the backyard of the existing house so if there are tenants in there they’ve still got access to their side of the house. We’re creating a separate access that works out toward the back so we try to minimise the interruptions as much as possible. How Come Granny Flats Are Built So Quickly? With our project manager and our large staff, we’ve got our own systems in place. We’ve got a program for each project, every tradesman knows when he is going to be needed and it sort of allows a process just to flow quite smoothly. Generally toward the last week or two of a construction we start wrapping up everything and doing our final inspection with the owners. Also getting all our paper work documentation into the certifiers, doing all of final inspections. So generally by the time that week 10 or week 12 is done, usually within a week from there we’ve got all the final approvals done and occupation certificates and the owners tend to move in general in about a week of us finishing. The whole process from day 1 until completion sits at around about five months. Where Can A Granny Flat Be Built? According to the requirements it’s got to be residential zone. So although it’s applicable on all over New South Wales, if you do live in a rural area you may not be able to do it – or you might still be able to do it but you have to get approval through council. So it would be a longer approval process. Otherwise the areas like the ACT but different planning requirements that what Sydney does. 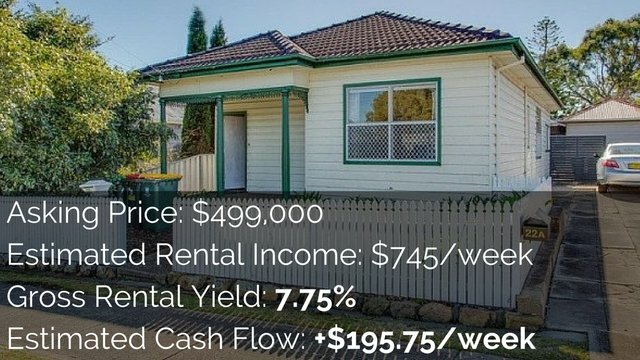 Building A Granny Flat Outside Of New South Wales? I believe it’s available in Queensland and Melbourne. Granny flats have been a bit more traditional in Melbourne than they have been Sydney. More on the eastern side , you’ve got Queensland as well as Melbourne do allow it but they do have all different requirements in legislation so check with your council. With our buying power and the fact that this is what we specialise in. And all our consultants and drawings, documentation is pretty spot-on so you know that from the initial design stage to point when you start building there is no discrepancies. We do a lot of construction with using other people’s plans which is great, no problem with that. But there have been times when something’s missing it could create some confusion during building and so on. So at least we ask you you’re picking all your materials, you’re picking everything from the beginning, there is no grey areas and again apart from the fact is that what we do best, that’s what we specialize in, and the fact that we can do it in 10 to 12 weeks. We’re not just jumping onto your job and come back to when we’re ready. You know you got your own designated project manager and you got a contact person throughout the whole stage and it’s their job to make sure it gets done within the time frame. So you know it’s pretty safe. Ryan: It is amazing how quick a granny flat can be built, how cheaply it can be built and how easy the process was. 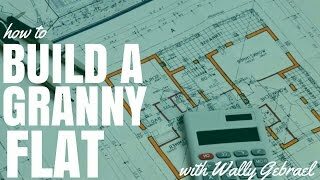 I came into this interview and I didn’t know the process behind getting a granny flat built so hearing from Wally in hearing from exactly how to do it if I had a property where I could build a granny flat then I would almost certainly go ahead and do it because it just sounded so easy. The good thing is when you get someone like Wally to build it for you, they deal with all the issues, not you! 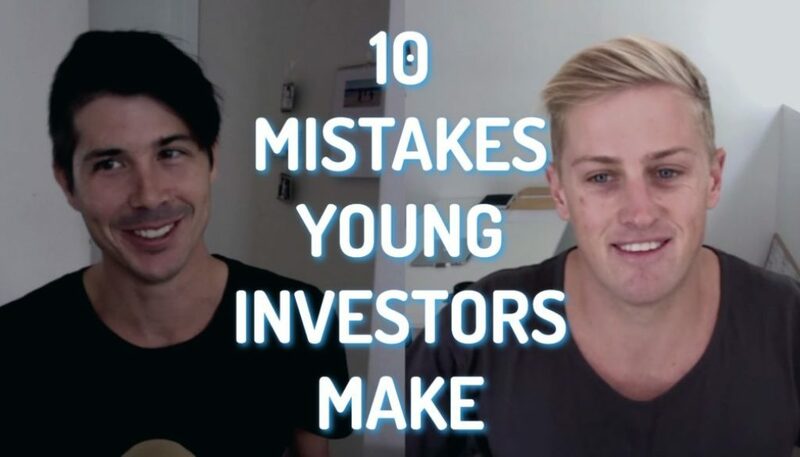 Investing In Granny Flats – Interview With Wally Gebrael (Ep112)	Top 20 Ways To Save For A First House Deposit FAST!